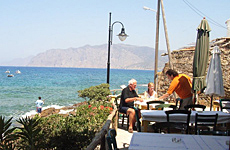 The east of Crete is showing signs of tourist development, so go now. From Zakros a road leads down to Kato Zakros where a Minoan palace rumoured to be able to rival Knossos is being excavated. 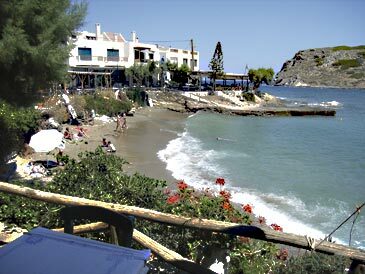 A little south is Xerokampos on a coastal plain whose sandy bays are almost sure to offer you one to yourself, even in high season. It’s more of a still-life with houses than a village, but there’s palpable remoteness here. 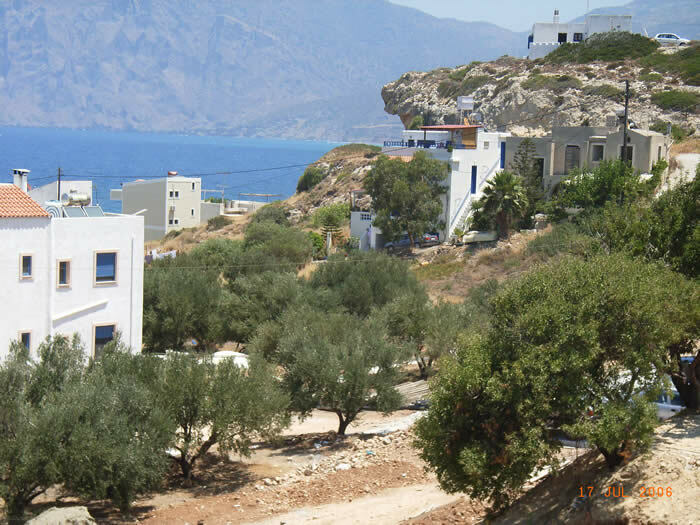 The most easterly village in Crete. 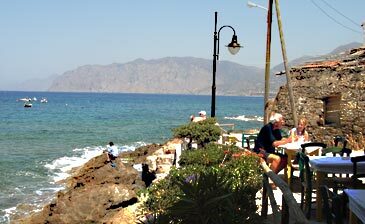 From here the coast running north is indented with wonderful sandy beaches, notably Vai where the sands are backed by the only plantation of palm trees in Greece – tradition says the Phoenicians spat out their date pips! 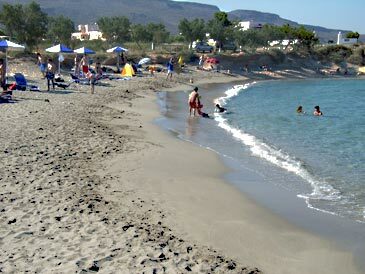 Palekastro Bay is famous for its windsurfing, based at a couple of tavernas on the water’s edge. 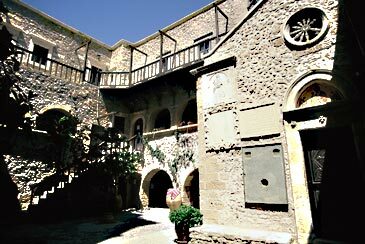 For a less energetic outing, drive a little inland to the delightful Toplos Monastery (no toplos sunbathing please) with its excellently laid out museum with English captions as well as Greek. 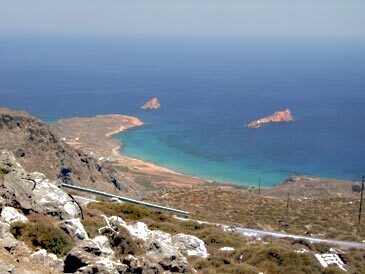 Half an hour after leaving Sitia on the Heraklion road you suddenly get a view of the Gulf of Mirabello. 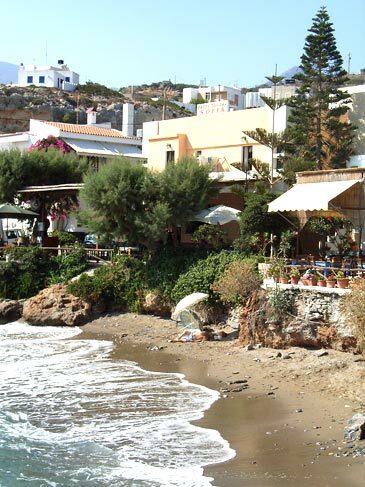 Down to your right, however, is the hamlet of Mochlos where you will find a mini-waterfront with the statutory row of tavernas whence you gaze dreamily at the offshore islet (complete with archaeological site) or watch the local goings-on. Except that of course nothing does go on – other than organised walks for anyone and occasional motor bike trekking for the young – both activities arranged by Yannis and [Belgian] Anna. 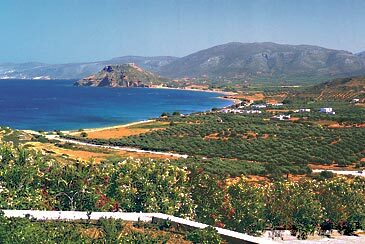 Mochlos is also a good centre for sightseeing: nearby is ancient Gournia, an easily digested Minoan site found where the road crosses the narrow neck of the island to Ierapetra (a dump) on the south coast. 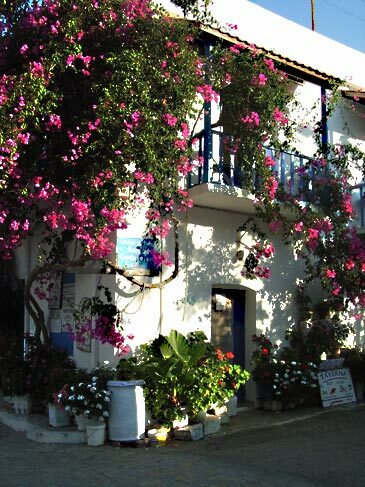 Drive further west and, just before you enter Martian country at Agios Nikolaos (though its centre is worth a coffee stop if you can find anywhere to park), there’s a left turn to Kritsa, a pretty village with a church famous for its Byzantine frescoes. Still further west, turning left at Neapolis, you can drive up to the gloriously lush Plain of Lassithi with its supposed 10,000 windmills and the Diktean cave, another claimed birthplace of Zeus. 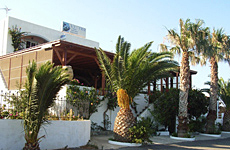 An unpretentious taverna with a big shady eating terrace and a few rooms upstairs; occasionally rooms in nearby houses of similar quality are used. The views of the bay are fabulous. 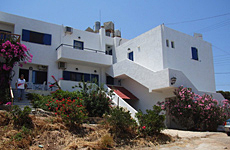 The hotel is on a steep hillside and the studios and apartments are mostly split-level. 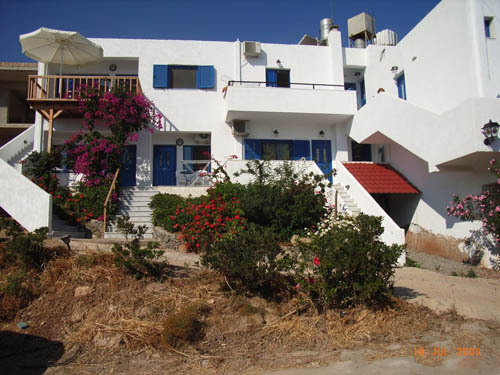 The kitchens are quite well equipped, although there’s no need to cook as there is a good bar and restaurant alongside the large swimming pool. Cat. C. S/C 1-5 pers. 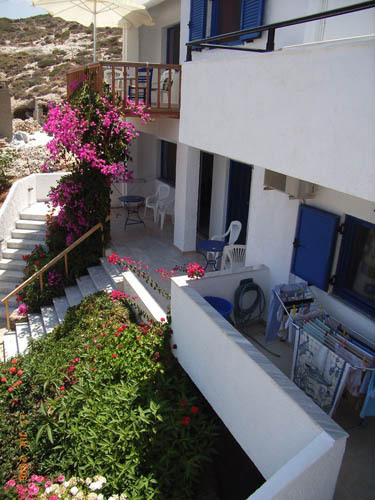 The owners of the best taverna have studios and rooms a little back and up from the seafront. 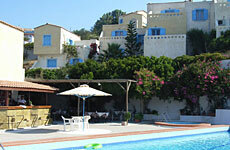 They are of an unusually high standard and are quiet, almost all with sea views. A modest, friendly hotel right on the waterfront. Each of the 12 rooms has a balcony just capable of seating two dwarves. Air-con; TV; phone; fridge. B&B.